Kindermusik by Baumhaus at Tung Chung will be back for Winter! 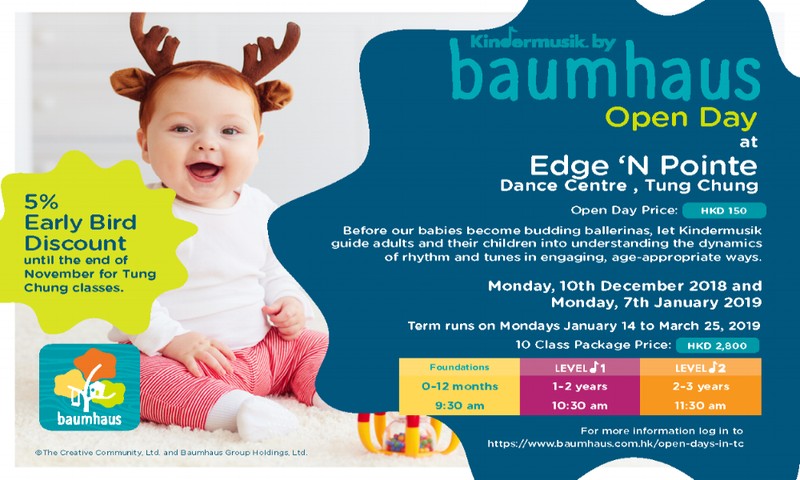 We are so proud to partner with Edge N’ Pointe to bring you Kindermusik by Baumhaus! Music stimulates and supports all areas of Early Childhood Development. Led by our experienced and passionate teachers, our classes provide a fun yet guided musical environment that allow the children to dream, imagine and release their creativity . Registration includes Digital Home Materials HKD2,800. For inquiries, please email info@baumhaus.com.hk.